After done with basics now let us try some programming. Here is code written by me to recognize the red object in live video. I wrote this code for my project freestyle. % Label all the connected components in the image. % Here we do the image blob analysis. % We get a set of properties for each labeled region. %This is a loop to bound the red objects in a rectangular box. % Flush all the image data stored in the memory buffer. 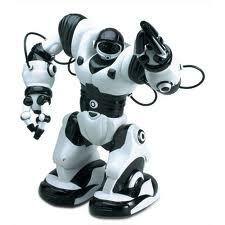 Copyright © 2008 ALL ABOUT ROBOTICS!!. All Rights Reserved. Copyright © 2009 ALL ABOUT ROBOTICS!! All rights reserved. Theme by Laptop Geek. | Bloggerized by FalconHive.